Hit the letters to move on! 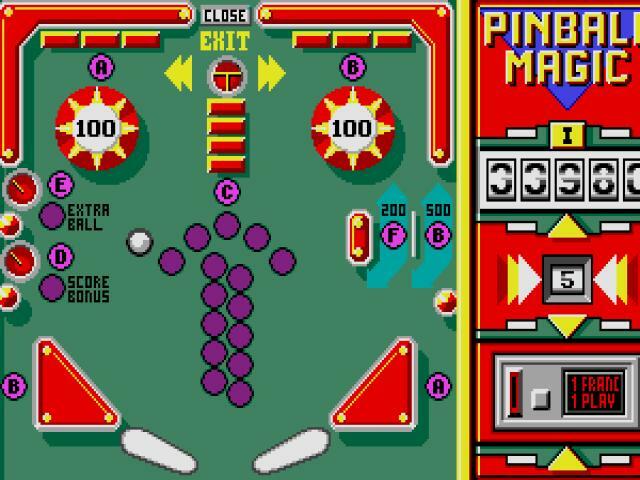 While in classic pinball you only play to accumulate more points, in this game here, the recipe is twisted a little, by adding letters on the tables. Hit all the letters on each table and a new one becomes available. 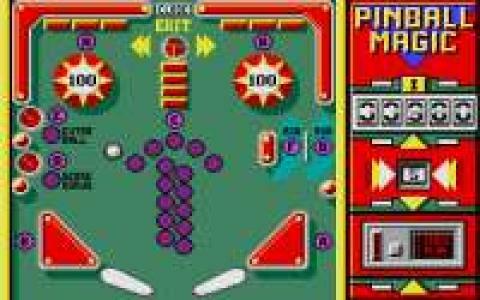 Graphically, Pinball Magic is a top down 2D game, which looks reasonably well, with cool VGA colors and a pixel count that is low but good enough. The physics of the ball and of the table elements feel alright, not too simulation like, a but stand within a nice, enticing enough kind of arcade game. On another note, I would have liked this game to have had a few more tables, but eh ones included are diverse enough, to the point where you won't get bored playing. Plus, playing one single table will take some skill, as some of the letters that need to be hit to advance to the next one can be placed quite tricky on the table, and aren't always easy to reach. 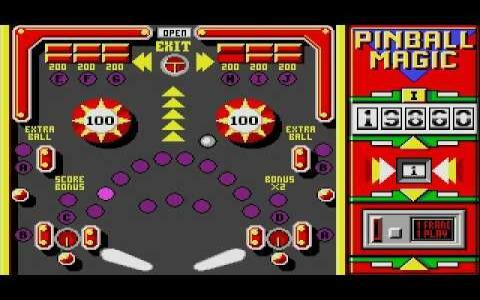 A good alternative, if you love oldschool 2D pinball is also Pinball Madness which contains the great Space Cadet table, the one distributed with Windows installations for years on end. 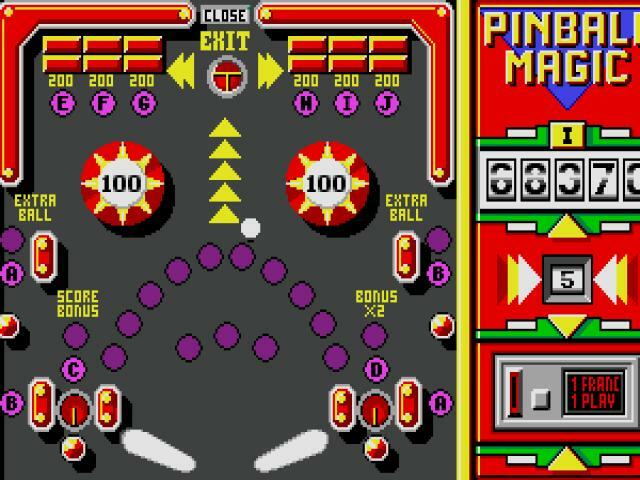 Pinball Mania in the other hand is great for its original idea of unlocking new tables by hitting letters, so, it's worth the download for that idea at the least.